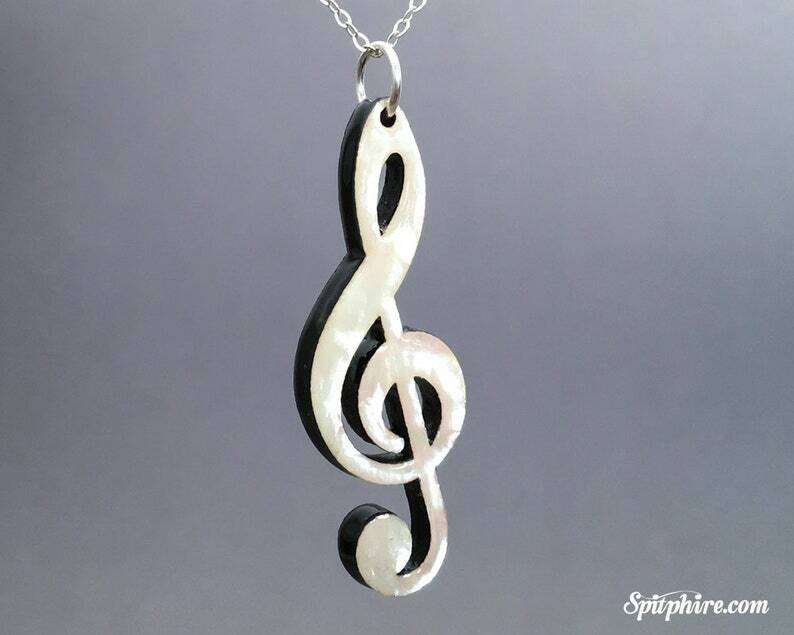 This treble clef necklace is music inspired. 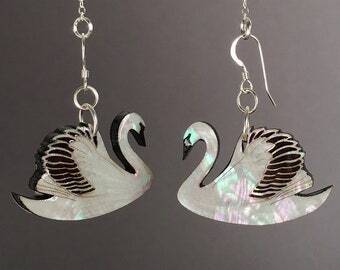 It is laser cut from an ebony hardwood with a layer of mother of pearl on the top and then sealed with resin. 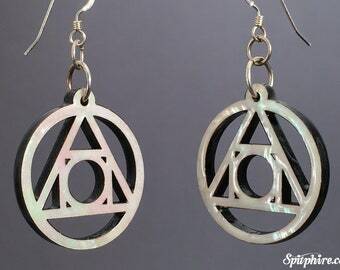 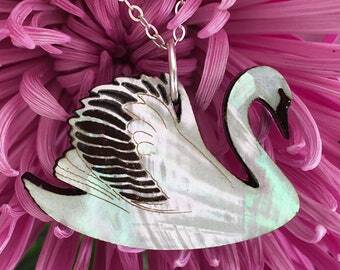 It dangles from a 16" sterling silver chain.